There are a number of reasons that homeowners might consider an artificial residential lawn including improving the looks of your home, reducing the maintenance required, or creating a safer, more environmentally friendly environment. 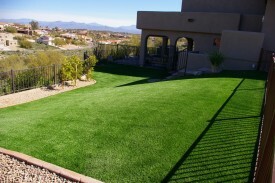 At AZGrassman, we have the extensive line of superior synthetic turf to meet the needs of residents who want to enjoy the benefits of artificial grass in Phoenix and the surrounding areas. Using fake grass for lawns is a fast and convenient way of giving your home curb appeal. Whether you are preparing your home to place it on the market or you want a family-friendly environment where you can enjoy the outdoors, we have solutions for you. We all want our lawn to be as aesthetically appealing as it is functional and with a synthetic residential lawn, it is possible to have the best of both worlds. No matter how much time you devote to a real lawn, you can never be sure that it is going to thrive. When you choose to install one of our premium artificial turfs for your Phoenix home, you can provide your kids and pets with an attractive place to play outdoors without the mowing, watering and time investment that a regular lawn takes. In addition to the benefit of knowing that your lawn is going to look just as good next week as it does today, using fake grass for your lawn is also an environmentally friendly choice that doesn’t require watering and will save you money on your water bill. Homeowners with pets have special concerns about keeping their lawns in top shape. Pets can destroy grass with urine stains but the synthetic turf lets urine drain through without absorbing the odor. Artificial turf won’t be stained by urine or dog waste and your dog can’t dig through it or get muddy when it goes outdoors. No matter what your reason for considering the switch to synthetic grass for your home, AZGrassman is the first choice for artificial grass for your Phoenix home. 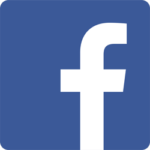 Our extensive selection includes everything you need for a perfect lawn for your home as well as for dog and pet runs, putting greens and more. If you are tired of being a slave to your lawn and want to save time and money, give us a call. We have the solutions that are right for your lifestyle.